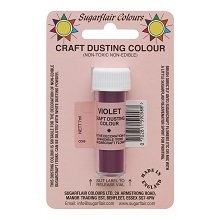 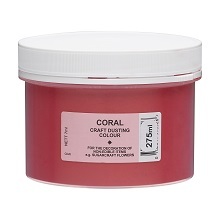 Use our Craft Dusting powders in exactly the same way as our Blossom Tints. 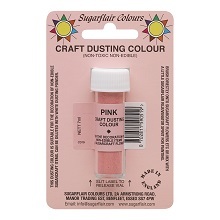 Please be aware that these powders are classed as non-edible so must be removed before consumption. The vibrant shades of blue, pink and violet in this range can only be achieved using Erythrosine food colour as an ingredient. Since 1996 EEC legislation only permits Erythrosine to be consumed when present in glace cherries, so we must therefore label these colours as non-edible to comply.